Move over niche applications, 3D printing is headed to prime time! 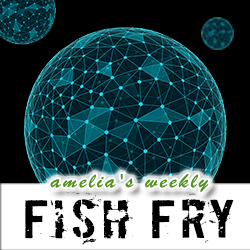 In this week’s Fish Fry, we take a closer look at the evolution of 3D printing and investigate how 3D printed materials are changing the prototyping landscape. Rich Stump from FATHOM joins me to discuss the how 3D printed material allows them to help designers and engineers make the “un-makeable”. We also chat about how enterprise and consumer 3D printing differ, cutting edge 3D printing applications, and what the future holds.